The look of this Roberto Coin bracelet from the Pois Moi collection is very cosmopolitan. 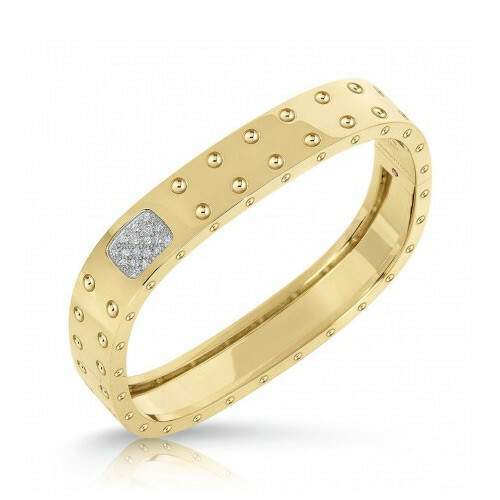 With sleek, curved lines in 18kt yellow gold, this bracelet is fashioned with rows of dots. A brilliant square of diamonds highlights one corner of this dazzling piece. 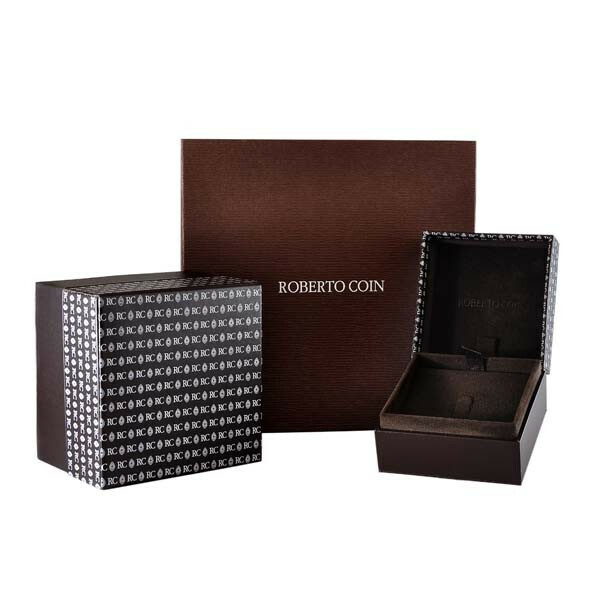 Pair this Roberto Coin bracelet with the matching ring for a modern look that will thrill you!